Y9 pupils begin their Queen’s Junior Academy journey…. 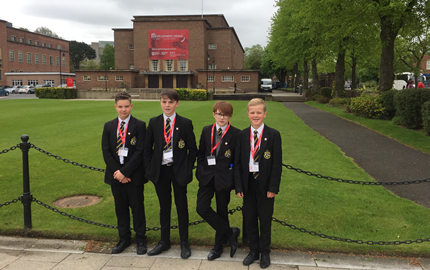 Yesterday, Harvey, Charlie, Ben and Jonathan (Y9) spent the day at Queen’s University Belfast as part of their induction day following their successful applications for the Queen’s Junior Academy. The boys had a tour around the main Queen’s facilities, including the Film Theatre, Students Union & Elms Village, gaining some insight into life at the university. Come to the Credit Union! What is the Credit Union? Well, the Credit Union is a bit like a bank in which you can borrow money from them, if you’re an adult (18+) then all you need to do is setup an account and you can borrow for a new computer, car or a holiday! Why go to the Credit Union? 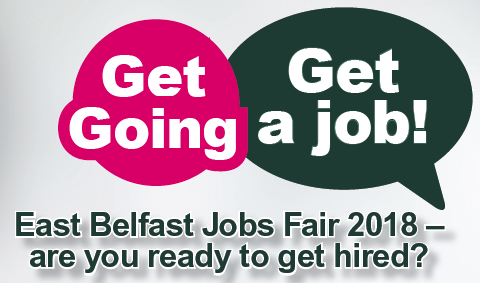 Kick start your career at the Employment East Belfast Jobs Fair – connecting local people to great employers! 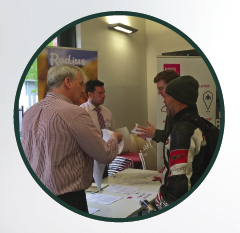 Come alone and meet nine local employers with job vacancies. The fair takes place on Thursday 7th June 2018 between 10am & 1pm. at the Skainos Centre (Baskin Room), 239 Newtownards Road, Belfast, BT4 1AF. On Wednesday 18th April our Year 12 pupils had the opportunity to develop and enhance their employability skills. 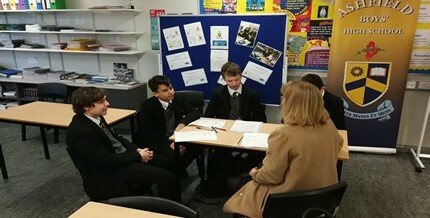 They participated in mock interviews, aptitude testing and received invaluable advice from a range of industry experts on how to present themselves in the job application process. 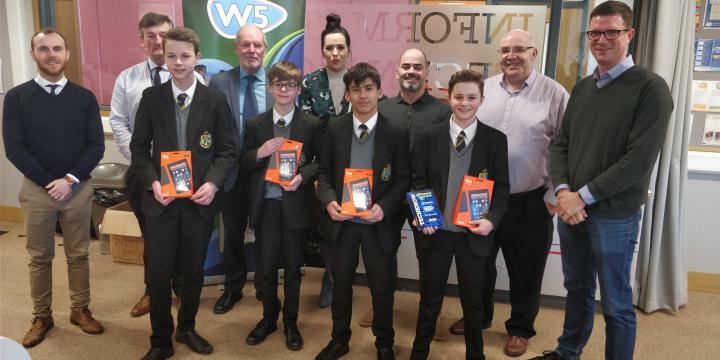 A team of young coders from Ashfield Boysí School have scooped the Techknow challenge 2018. The event was launched in November 2017 and is available to every post primary school in Northern Ireland. Ashfield Boys’ has a credit union service that is offered to our pupils and staff each Wednesday week B in room 40 and we encourage pupils and staff to sign up and save regularly. 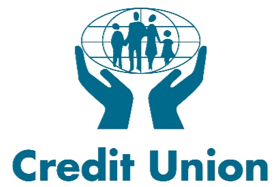 The Credit Union is staffed by our own pupils who have received training from the Mrs Booker, Manager at Ballyhackamore Credit Union. 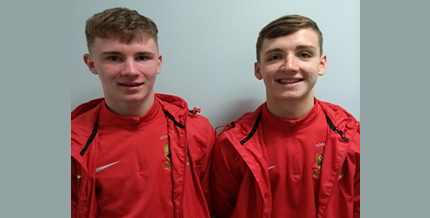 Congratulations to 6th form students Jamie Glover and Jack Henderson who have been selected for the NI U18 squad for the forthcoming Centenary Shield. 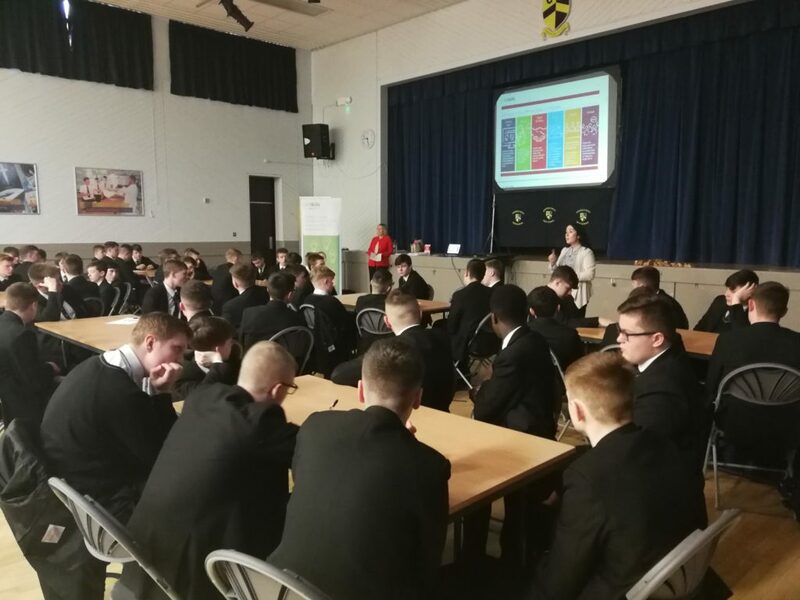 On Tuesday 6th March 2018, Ashfield Boys’ High School held our Careers Fair for Y11-14 pupils. 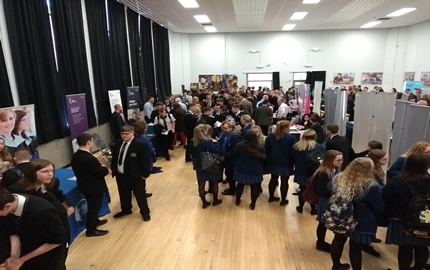 We were fortunate to host a wide range of exhibitors from universities and employers that offered their time to provide both pupils and parents with career guidance. The event was a great success and we are extremely thankful to all our exhibitors to contributing to their successful event for our pupils. We played 99 matches and finished up with 4 finals! 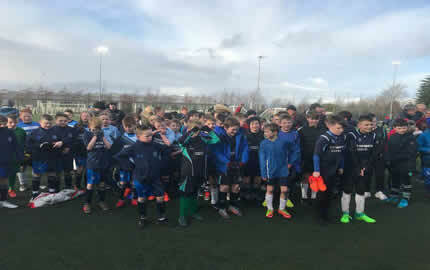 Everyone played in the right spirit and even though it was cold, had a very enjoyable morning.